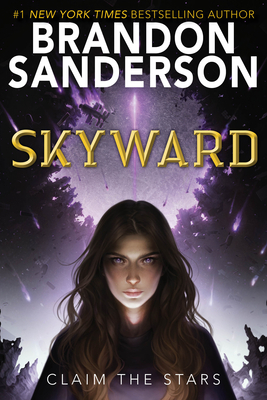 From the #1 New York Times bestselling author of the Reckoners series, Words of Radiance, and the Mistborn trilogy comes the first book in an epic new series about a girl who dreams of becoming a pilot in a dangerous world at war for humanity's future. And don't miss the thrilling sequel, Starsight! Brandon Sanderson is the author of the #1 New York Times bestselling Reckoners series: Steelheart, Firefight, Calamity, and the e-original Mitosis; Skyward; Starsight; and the internationally bestselling Mistborn trilogy. He was also chosen to complete Robert Jordan's Wheel of Time series. His books have been published in more than twenty-five languages and have sold millions of copies worldwide. Brandon lives and writes in Utah. To learn more about him and his books, visit him at brandonsanderson.com or follow @BrandSanderson on Twitter and Instagram.